With more then 20 years experience in clothes business “Armani Suits International” has been one of the most respected names on the island Koh Samui in The Gulf of Thailand for made-to-measure custom tailored clothing, identified with superior fabrics, meticulous hand tailoring, and quality. We are a full service Thailand custom tailor and provide a complete wardrobe planning service according to your career, business and social needs for both men and women. We consider the design of clothing as an art and don’t compromise on any details, hence the quality of every garment reflects a passionate attention to detail. At our store choose from over 2,000 of the highest quality domestic and imported fabrics from the finest mills around the world in a wide selection of colors and patterns in the styles for today’s lifestyles. We are highly recommended through word of mouth by our loyal and satisfied customers visiting our shop again and again. This we are achieving by never compromising with regards to quality and service, and by being as deeply involved in every detail as possible, day in day out. Major tour companies such as LTU, Tour East, Kuoni, Apollo, suggest their clients to visit us for made-to-measure custom clothing. We are also official tailors for business such as Four Seasons Resort, Centara Resort, Napasai Resort and many more on Koh Samui. With increase in demand for our made-to-measure clothes world wide we now offer our services through postal service for online orders. Additional each year our store representatives visit Europe and USA often to accept orders for custom made clothes. Now you to can avail our services at moderate prices that would suits your needs and make you feel exclusive without bothering to visit our store located in Samui, Thailand. 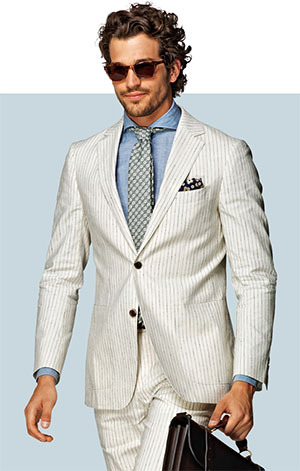 If you are looking for Armani suits for men or Armani suits for women, Contact us today! we shall provide you with more information. Armani International specialize in Men’s Suits and Women’s fashion, whatever your requirements are, we can accommodate you with our highly personalized service. The next time you are in Chaweng, please drop by and visit our store which is located on Chaweng Beach Road opposite the Centara Beach Resort. Our team of dedicated professionals will provide you with a level of personal attention and expertise not found elsewhere. We have only one store in Koh Samui , Chaweng Beach. We are not affiliated with any other store with similar names in the island or nearby island of Koh Samui. Beware of Tour guides, Taxi & Tuk Tuk drivers and hotel reception as they will try to guide you to shops where they get commission. If you have trouble in reaching us please contact us directly by phone, +66 (0)77 422 387 or +66 (0)85 070 7158, and we will provide You a free pick up service. Call now at +66 81 894 4657 and get Free Pick Up Service from Your Hotel/Resort! You find us in the shopping arcade from Centara Grand Beach. © All Rights Reserved, Armani Suits Int.